Why Do We Need an Alkaline PH in Our Water? People tend to eat meals that are too acidic; it's really hard these days not to. This makes our bodies overly acidic, which could lead to sickness and disease. 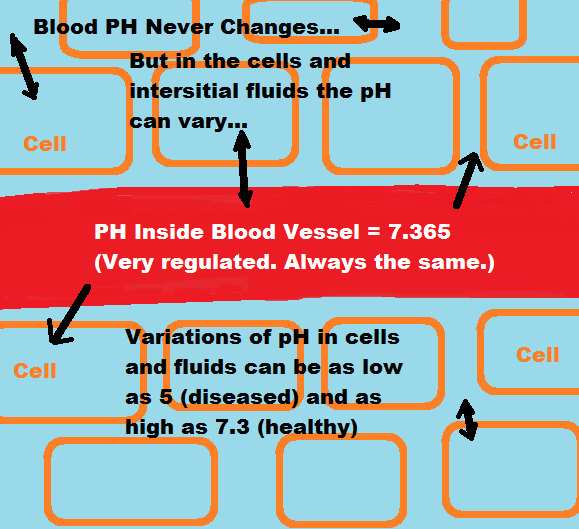 Our blood will always be about 7.365 pH, but the interstitial (between-cells) fluids' pH can vary, and too much acidity in these fluids can lead to disease. Inside our bodies, our cells, tissues and organs need varying levels of alkalinity. Even the stomach likes alkalinity between meal times. A huge benefit of alkaline ionized water is that it helps to balance out the pH in the body's fluids when you drink it throughout the day. Water is the most abundant molecule in the body, and if the water you drink is slightly alkaline it can help buffer and pave the way for acidic wastes to move out of the cells and tissues, where they otherwise would be trapped. Why is alkaline ionized water beneficial to health? Alkaline ionized water has two very important differences from tap-water: 1) It provides pH-buffers to help the pH balance of your body, and 2) It contains natural, healing, antioxidants. 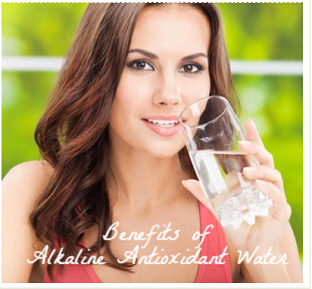 I have the advantage of 25+ years of experience and great benefits of alkaline antioxidant water. Drinking alkaline ionized water has changed my life and the lives of many hundreds or even thousands of others who I either know well or at least have had some contact with. Drinking ionized alkaline water benefits anyone. I've seen how it helped me raise my children, without allergies and free of typical childhood illnesses. The list of alkaline ionized water remedies that I can personally relate to is extensive. I've seen conditions such as spider veins, headaches, ear aches, throat soreness, congestion, acid re-flux, gout, constipation, acne, colds, allergies, and almost "you name it", go away and stay away because of drinking ionized water. See my testimonial. The way you get alkaline ionized water is with a water ionizer. This is an alkaline machine that gets hooked to your water supply and splits the water clusters into two streams of water: alkaline water and acidic water. A water ionizer has two output hoses for this. Alkaline water usually comes out of the top flexi-hose [spout] and acidic water comes out the bottom hose...which is usually positioned behind the water ionizer to drain into the sink. The following video is packed with information about ionized water and very clear explanations about the benefits of ionized water; including many diseases and conditions that can be helped by alkaline ionized water. It has great illustrations and testimonials. The inability to rid ourselves of acidic wastes leads to most of America's common illnesses (colds, allergies, diabetes, obesity, acne, indigestion, headaches and cancer). To prevent this entrapment of acidic wastes our cells must be constantly bathed in slightly alkaline pH water. I have discovered that the best remedy to colds, allergies, acne, acid-reflux, etc. is to drink ionized water from a well-designed water ionizer. Alkaline water machines and pH-balance in and around your cells. Bodies need to be alkaline to get rid of toxins so we can be healthy. Here is a chart that helps to illustrate how alkaline ionized water helps to rid the body of toxins. The PH buffers in alkaline water allow the body to neutralize acidic toxins, or other elements, that are attacking and damaging cells. Removing toxins can extend the life of your cells. Without this ability, cells may become mutated or die. Fatty-acids are a perfect example. Toxins get trapped in our fat cells and keep us from losing weight if we don't have immediately available buffers for them. People often wonder what they have to do to get rid of stubborn fat. PH balance is a big key to that. Medical Fact: The blood must maintain a balance of about 7.365 pH at all times. The alternative is a pretty fast death. One of the greatest benefits of alkaline antioxidant water, ionized water, is the power of its antioxidants against free-radicals and cellular damage. These antioxidants are called molecular hydrogen. Basically, they are hydrogen, H2, molecules which have been found to be the most powerful and safe antioxidants for fighting free-radicals. Hydrogen antioxidants are so tiny they can easily penetrate cell membranes and do their work where no other antioxidant can. Molecular hydrogen, also known as hydrogen gas, is the smallest, most natural, and most lipid-soluble of the antioxidants. The way it works is H2 (Hydrogen Antioxidants) get dissolved into the alkaline antioxidant water and will stably stay dissolved for several hours. Once you drink this antioxidant-rich water research has shown evidence that it benefits your body for days. So many doctors, researchers and lay-people, alike, have witnessed the benefits of hydrogen-enriched ionized water. I URGE you to read more about the importance of molecular hydrogen to all of health. Comparing molecular hydrogen antioxidants with vitamin C and E: molecular hydrogen antioxidants are (1) much more powerful antioxidants (2) have no negative side-effects, (3) can actually regenerate other antioxidants, like C and E, to remove their potential negative side-effects, (4) are lipid-soluble and (5) they can get into cells when the other antioxidants can't. With hydrogen antioxidants, when they get "used up" they simply evaporate and cause no harm themselves. Antioxidants are not exactly the same as ORP. ORP stands for "oxidation reduction potential". ORP is the ability of ionized water to reduce oxidation within the body. 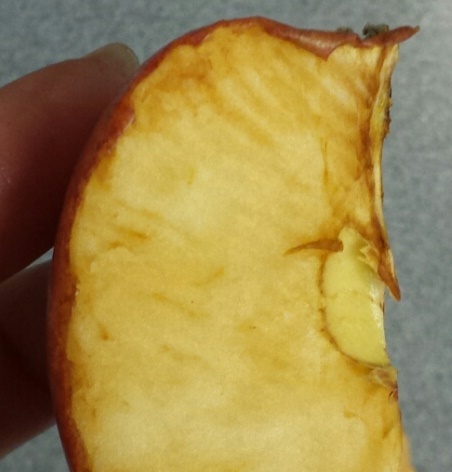 Oxidation: Oxidation is what's happening to the apple in this picture or to iron when it rusts. It happens inside our bodies all the time and contributes to diseases. Oxidation is a chemical reaction. Active Oxygen [O2+] or other free-radicals circulate the body, stealing electrons & damaging the cells. A free radical is an unbalanced molecule with an unpaired electron. It needs another electron to be stable and steals it from your cells. Ionized water produces a Negative ORP, which is really good, because it contains lots of electrons to donate in order to neutralize free-radicals and repair cell damage. 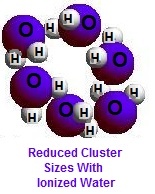 Water is usually found in large clusters of 14 or so water molecules per cluster. Alkaline water ionizer machines break the water down from larger clusters of water molecules to smaller ones. By creating micro-clusters, a water ionizer creates water that is more easily able to pass through pores, tissues and cell membranes. Therefore alkaline ionized water will hydrate the body and cells better and faster. This video gives more information about this. What Can You Expect From a Water Ionizer? Depending on both the flow-rate and settings of your water ionizer, the alkaline water output can usually range in pH from 8.5 to 10 [and sometimes even higher]. If your source water is already high alkaline [which is unusual, but does happen] your alkaline ionized water range of pH will be higher, accordingly. Some people ask if it is still advantageous to ionize the water if the tap water is already alkaline. Answer: Yes, it is, because alkaline ionized water is full of antioxidants and tap water is not. Your body can adjust to these pH differences. The fact that a water ionizer only lightly alkalizes the water is important. This water has little chance of adverse effects. But if you already like the pH of your source water and prefer to keep it where it is, your best choice would be to get a Hydrogen Water Machine. This way you are receiving the molecular hydrogen antioxidant benefits, discussed above. Some people get confused about the stomach and think it always wants to be acidic. That is far from the truth. The stomach does need to be acidic for meals and if you add a squeeze of lemon to your alkaline ionized water at meal-times it will not upset that balance. I don't usually drink with my meals, so that's my solution for meals. 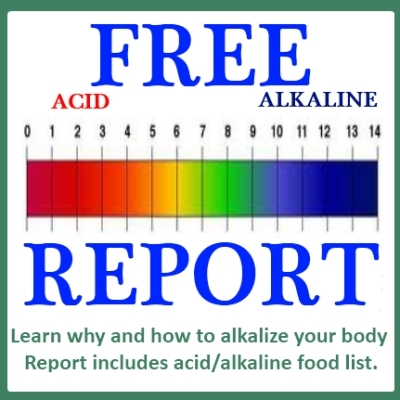 In-between mealtimes, the stomach likes to be alkaline. The water we drink in-between meals (as long as it's slightly alkaline) has the capability of absorbing into the rest of our body right through the walls of the stomach. As a matter of fact alkaline ionized water improves digestion. Throughout the entire length of your intestines, where important phases of digestion occur, it is healthier to have slightly alkaline water. Good bacteria in the gut prefer slightly alkaline water. So, during the between-meals times, one should just sip on alkaline ionized water all throughout the day. Among the benefits of ionized water are improved conditions in the GI tract including better elimination, digestion, energy, and overall health. Water has no calories, and so it doesn't trigger digestion or reduce the stomach acids at all. It just absorbs into your body or goes straight through to the intestines in a couple of minutes. The stomach can adapt to all pH-levels of alkaline ionized water. It is weakly alkaline (meaning it can neutralize with only a drop of HCL) and does not pose a threat to digestion at all. High body acidity is caused by the foods we eat and drink, exercise, tension & stress, to name a few. Ideally our diet should be 60-80% alkaline, but in reality it’s usually just the opposite -- about 60-80% acidic! Animal proteins, grains, dairy products, soft drinks...are all acidic and are potentially going to be stored in the body as acids. [It's not so much that the food itself is acid, although it often is, but it is that the resultant byproduct of digestion of that kind of food is acidic.] Too much acidity in the body is dangerous. Diseases are often by-products of an acidic body environment. So, when you "cure" them without changing your daily routine that got you there, you take the risk of getting whatever you had come back. Huge benefits of drinking alkaline water lie in the area of giving you the BUFFERS you need to handle whatever comes along, and PREVENT disease before it overcomes your body systems. Actually there are occasionally people who have enough alkaline buffers and don't particularly need alkaline water. However even in this case the antioxidant benefits are good. That person should simply get a hydrogen water machine instead. 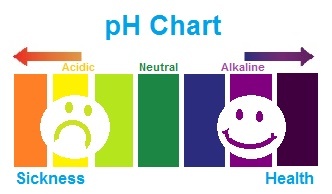 Many times varous family members have differing alkaline needs, so it's very convenient that water ionizers have several pH-levels to choose from. Choosing the lowest level on a water ionizer, though, will not give one "medical levels" of molecular hydrogen, so again, I suggest to purchase a hydrogen machine in addition or instead. Also, children under 2 years old are already alkaline enough, and usually should only be given filtered water from that setting on the water ionizer. But, anyone, from infants to old age, active or sedentary, healthy or ill, can benefit from unlimited amounts molecular hydrogen antioxidants, and for them a hydrogen machine is a great choice. What are the Three Main Types of Water Ionizer Devices, and How are They Different? There are three main types of water ionizer devices: electric water ionizers , hydrogen water machines and non-electric filtering water ionizers. 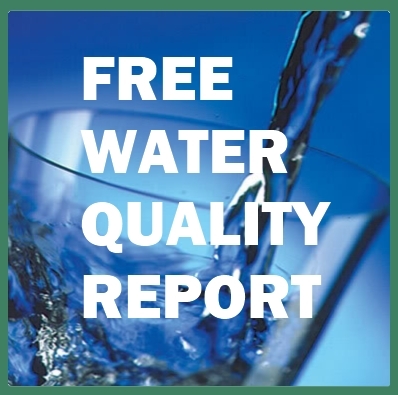 From my experience the alkaline water benefits with electric water ionizers are superior to non-electric water ionizers, but all three devices have their advantages. We sell all kinds. Electric water ionizers and hydrogen machines are necessarily more expensive because to be safe and effective they must have pure titanium plates covered with pure, medical-grade platinum. The platinum, alone, has a major influence on the cost. [Platinum costs over $1500./ounce.] Electric water ionizers are better and healthier, because they will ionize all of the healthy, alkaline minerals [such as calcium, magnesium, potassium] and non-electric water ionizers will only ionize magnesium. Ionizing the minerals makes them more readily available to absorb into your cells. Hydrogen water machines are the newest. They are quite unique in that they don't change the pH; their focus is on adding molecular hydrogen to the water, and there are quite a few ways to do that. You can read more about that on the Hydrogen Water Machines page. Sometimes I get customers who tell me they want me to use their whole name in their testimonial, because they (like me) want to shout from the roof-tops how much switching to alkaline ionized water has helped them. I have several examples on my testimonials page, but here are a few, so you get the point. Alkaline ionized water is a BIG DEAL. This video has more great testimonials right from the mouths of people talking about the health benefits of alkaline water. Q: Why are alkaline machines [water ionizers] so expensive? Answer: First, if you compare alkaline water machines to medical equipment or treatment, they're not expensive at all. But I'll explain how the expense of an alkaline water machine breaks down. 1) The water ionizer contains platinum coated plates. Platinum is quite expensive [over $1500/oz]. Cheap water ionizers that use alloys are not able to ionize as efficiently or safely. 2) Design, electronics, fine workmanship and warranties are also quite costly. Q: Why do electric water ionizers [alkaline water machines] need platinum coating on the electrodes? Answer: The reason that alkaline water machines must use platinum is: Platinum [along with titanium] is a very hard & dense metal and will not break down and leach into your alkaline ionized water - even over time. So the electrodes will virtually last forever and platinum catalyzes [speeds up] the electrolysis process allowing water to ionize instantly as the water passes through the alkaline water machine's electrolysis chamber. A water ionizer [alkaline water machine] wouldn't ionize water well at all without platinum. Q: Which brand/model of alkaline water machine [water ionizer] makes the best water? Answer: There are several water ionizers that I think are in the category of "best". As long as the water ionizer is manufactured properly, can achieve a wide enough range of pH, produces an abundance of antioxidants at each of the alkaline pH-levels, and has an adequate warranty I would call it one of the best ones. Then there are other features to consider... You’re invited to stop-by my "Water Ionizer Comparison Chart" page. I’ve placed objective alkaline water machine test results [and videos] on the page and I’ve analyzed the tests and ranked the ionizers according to what I think is Good, Better and Best, compared to all of the other alkaline water machines. Q: Are there any cautions about drinking ionized alkaline water? Answer: You should start slowly. Set the controls to the lowest alkaline level. Assuming the water agrees with you, increase the amount you drink and the level of ionization intensity. High levels of alkalinity -- up to 9.5-10.0 -- are best for drinking water; the highest levels, 11pH or higher, can be used for cooking. Use the "Purified Water" setting for taking any medications that your doctor advises not to be taken with alkaline water. Do not drink the acid water that comes out of the lower spout. Q: What is pH and how do I test my body's pH? Answer: PH stands for "potential hydrogen". It basically means how acid, alkaline or neutral something is. On a scale of 1 - 14, 1 - 6.9 would be ranges of acidity (with 1 being the most acid) and 7.1 - 14 would be ranges of alkalinity (with 14 being the most alkaline), and 7 would be neutral. In a healthy state, our saliva should be slightly alkaline (a little above 7.3). However, a large majority of North Americans and Europeans are in an acid condition, and this can be demonstrated. If you're curious as to whether you're acidic, ask for our free pH saliva test. 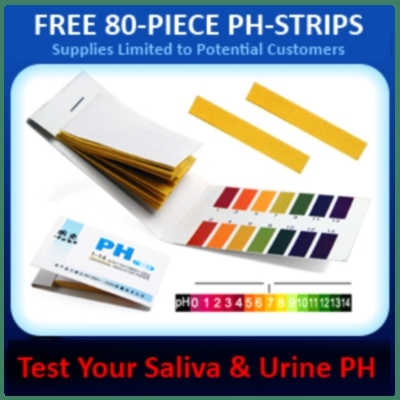 In this simple test, special pH papers are used to measure the acidity /alkalinity of saliva under carefully controlled conditions. This can give you a relative, general picture. Q: Which container is best and what's the best way to store ionized water? Answer: The only really good bottle for storing ionized water is our vacuum stainless bottles. Q: Does it change the pH or ORP of ionized water to mix it with flavor-aids or alcohol? Answer: Yes it does. I've tried Kool-Aid, Crystle Lite and other drink mixes, and chemically-created drink mixes remove a good deal of the benefits [of pH and ORP] of ionized water. They'll actually make it acidic in many cases. However, adding alcohol to ionized water doesn't change the pH or ORP for some reason. Here's my testing of flavor-aids & alcohol's effect on the pH and ORP of ionized water. At Alkaline Water Plus we have a LOW PRICE GUARANTEE!